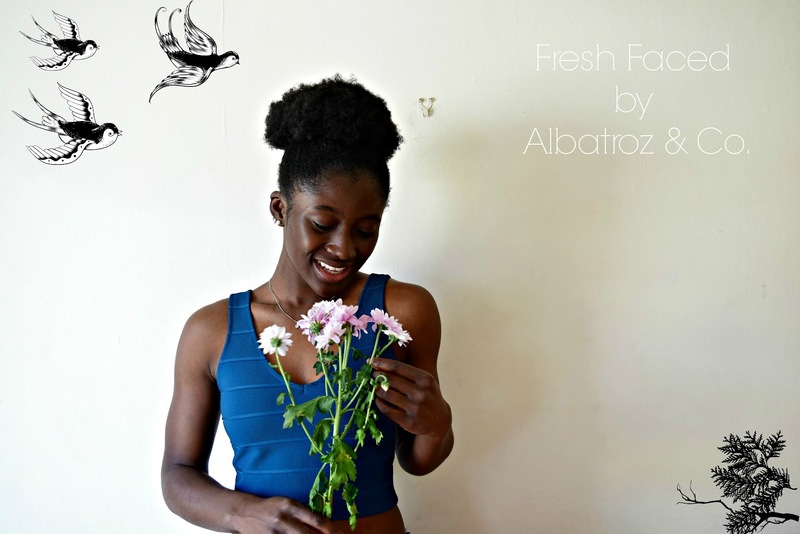 Fresh Faced | Albatroz & Co. So the day has finally arrived for the fresh faced Albatroz & Co. to be revealed. Some of these changed are pretty obvious like the new banner images and others not so much so in this post I'll just talk you through what's new and where Albatroz & Co goes from here. Firstly we have new slider images which I was super excited about! I loved the old ones but felt it was time for a change. I'll be changing the slideshow pictures every three months or so from now on just to keep things interesting. Secondly you may have noticed that we have new categories. Albatroz& Co. previously showcased Fashion, Style, Lifestyle,Photography, Journal and Video. I have removed the Style category as I felt it was so inextricably woven into Fashion that it made no sense having two categories of essentially the same topic. I also removed photography, for now that is. I love photography but I have found that I don't have very much time to pursue it outside of taking outfit shots for the blog or the casual pictures when I bring out my camera. It was also a little misleading as it made it look like I knew something about photography, a field in which I am about as qualified to teach as a potato. There is also the addition of the Hair category which I am especially excited about! I've been thinking of starting a natural hair section because of the obvious reasons of having natural hair myself but not being the best at taking care of my hair I wasn't sure I was qualified to. But the more I thought about it the more I thought it'd be a good idea because realistically taking care of such high maintenance hair with very little time to spare can be hard and I thought not only would the Hair category push me to take better care of my hair but it'd also enable me to share more with you guys who are also naturals, thinking of going natural or would like to just take better care of their hair no matter what hair type you have. I'm addition to all this is the much much overdue About Me section. I've never really enjoyed writing that section because I never know what to write. How does one leave an essence of themselves on a page when that very essence is constantly being changed and shaped every single minute of every day? The About Me section is titled Start Here on the site and I tried to keep it short and interesting whereas in the past I would've tried to write as much as possible about myself which definitely didn't work for me! You can check it out here and also find out some facts you may or may not already know about me too. My social media connect buttons have been added to the sidebar of the blog making it a lot easier for you all to check out my various social media and connect with me whilst keeping up to date those times between blog posts. Talking about social media, I've added a sticky share bar that enables you to be able to share a post whenever without having to go all the way to the bottom of the post. In addition to this is a Pin It Button for my fellow Pinterest enthusiasts so it's a lot easier to pin any of my images. It appears on the top right of the images when you hover over them so you can all knock yourselves out and go crazy! Furthermore, there is the slightest change in posting schedule. It's nothing big but I don't want to leave you in the dark about anything. I will continue to post on Albatroz & Co. twice a week, Wednesday evenings and Sunday mornings, this is a slight change from the Wednesday & Sunday evenings I've been going with the past few days. The change was to ensure that the posts are evenly spaced out so there isn't too much of a break between them. And lastly, I want to address an idea I have in the works that I'd like to say will be put into play from November? I'm preparing a weekly newsletter that you can opt-in to subscribe to when it launches. In this newsletter I will offer snapshots of my week which will be more personal as you'll finally get to see that I do actually have family and friends who are not imaginary. Sometimes a blog can't reflect everything about a person's life so the newsletter would be kind of what goes on behind the blog. The adventures and outings that don't make it on the blog. As a blogger, and student working part time, I try to be as organised as I can be which in turn means that sometimes my posts are planned for the month in advance and I can't bring up a trip to a haunted house I went to in October in a December post. The newsletter would eliminate that break in reality a little more. I would also give out weekly finds in fashion, Blogging Tips, good books, or anything interesting and useful not just junk and updates on my 30 Day Challenges instead of the announcement and final result post that gets onto the blog. And you'll get ahead of the juicy details of any upcoming giveaways, new developments in the works, trips etc. before it goes live on Albatroz & Co. Are you as excited about this as I am? You can add your email address to the mailing list by typing it in the newly added Newsletter Subscription Box in the sidebar in the run up. In conclusion, there is a lot more in store for Albatroz & Co. and I can't wait to see where it all goes from here for all of us. So tell me, what do you think of the fresh faced Albatroz & Co.?? And if you are new to Albatroz & Co. I'd like to give you a BIG welcome. You've arrived at a very exciting time and I can't wait to get to know you.